You’re familiar with MilitaryByOwner. You use them to find a home, and you advertise with them when it’s time to sell. You call them with questions and concerns, and they give you guidance. You know the company, but do you know the individuals behind the name? Many of them are family members of active duty or retired service members just like you. In fact, it’s the retired Marine Corps power couple Dave and Sharon Gran who started MilitaryByOwner. The Grans searched online, but found nothing. 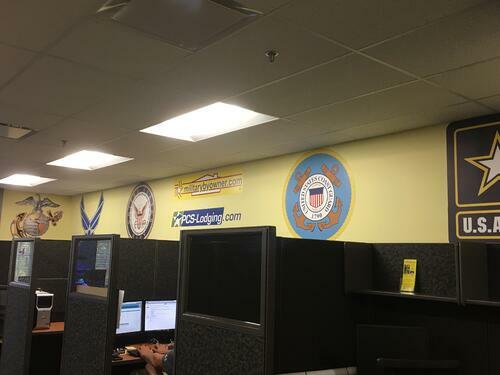 Inspired, they made it their personal goal to make PCS moves less stressful for military families by helping them connect with one another. So they created the first of its kind, MilitaryByOwner. Here's a peek at what the site originally looked like! 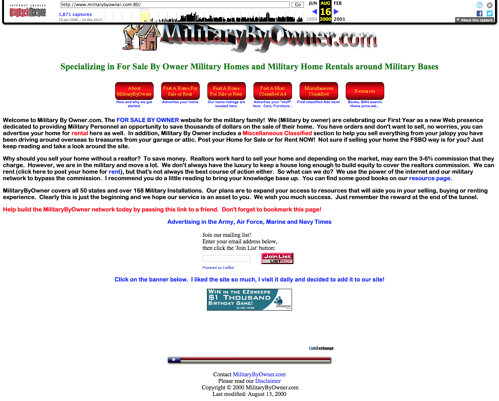 With a lot of work and dedication, the Grans created the MilitaryByOwner you know: your one stop for homes for sale or rent near military bases. 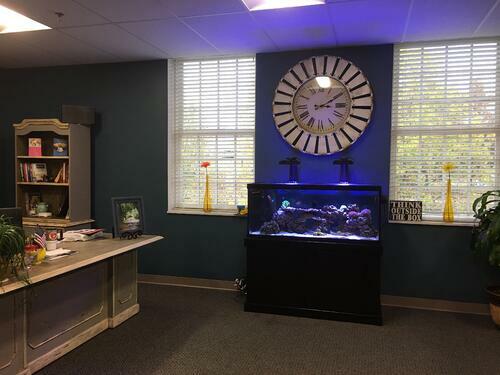 Take a look at what their offices in Stafford, Virginia look like today! But you don’t become the "go to" website for military families finding, selling, or renting homes near military bases without the help and support of an excellent team of individuals. 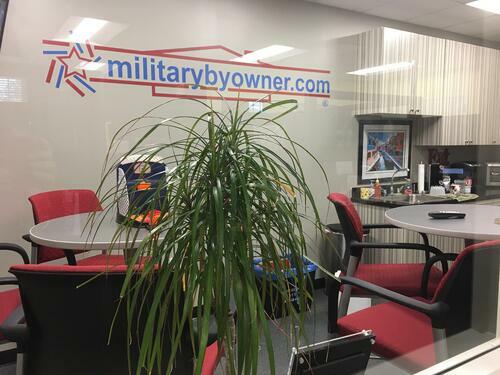 Meet a few members of MilitaryByOwner’s home office team! Dave met Sharon when they were both finishing school at Southern Illinois University. Dave obtained his aviation degree and shortly after commissioned into the Marine Corps. Dave and Sharon dated long distance when he moved to attend The Basic School (TBS), and again moved for the Field Artillery School (FAS). Immediately after he checked into his first unit, he asked for leave over Christmas so he could marry Sharon. His superiors gave him a hard time, but they eventually said yes, and he flew home to get his bride. They’ve been married for 32 years. Although Dave started his military career in artillery, he spent most of his time as an intelligence officer. He retired in 2004 after serving 21 years. The Grans created MilitaryByOwner in 2000 prior to his retirement, so there were a few years that Dave couldn’t devote his full attention. During those years, Sharon shouldered most of the weight of their new company. It wasn’t until four years after they established MilitaryByOwner that the Grans hired their first employee. 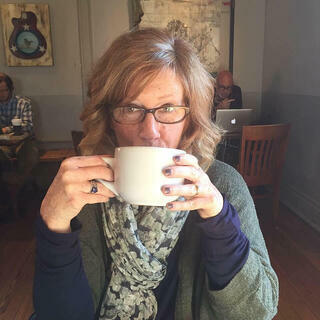 Prior to her life as a military spouse, Sharon taught middle school math in Illinois and was a math/software consultant at Holt, Rinehart & Winston publishing company. After she married Dave, Sharon continued to teach math on base and at the community college. They were stationed at Camp Lejeune, Virginia Beach, Quantico, and Camp Pendleton, but her favorite duty station was Stuttgart, Germany. They spent time camping on the mountainside in Switzerland with their boys, and it quickly became one of her favorite vacation spots. Sharon recommends that military spouses get involved in groups, activities, and volunteering in the schools. She was always told to stay busy, and when they moved back to the states she learned the advice rang true. 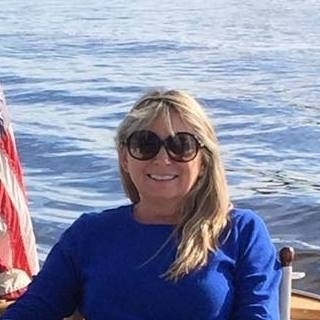 As she spent her days as a substitute teacher, worked to get her real estate license, started MilitaryByOwner, and carted the boys around to their ice hockey games, she learned that while life was crazy, it was also incredibly fun and rewarding. After Dave retired, he shifted his focus to MilitaryByOwner. People often ask Sharon how it is to work with family. She says for her family, it works. They recognize that they each have their own areas of strength and come together as business partners for planning and decision making. Sharon and Dave are parents to four boys: Ryan, Kyle, Mark, and Adam. Ryan and Adam work for MilitaryByOwner and are part of the home office team. 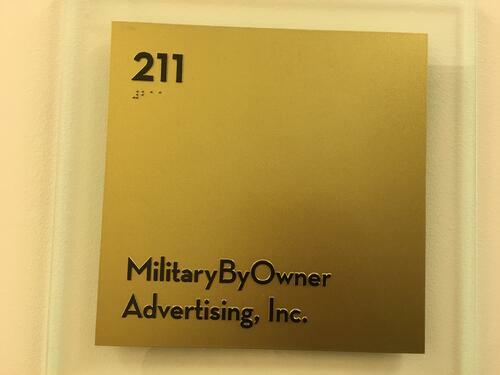 Ryan handles the business advertising and customer service for MilitaryByOwner. Several times a year, he represents the company at various expositions and conferences like Modern Day Marine and AUSA. 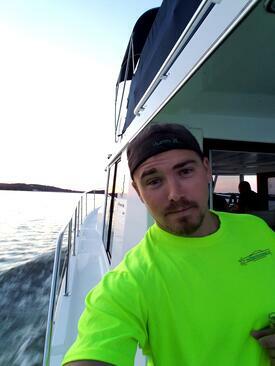 Ryan has been with the company for 11 years. He started approving ads part-time while he worked at the gym on MCB Quantico. After a few months, he joined the company full-time. He lives in Virginia with his wife Lauren and three children Lexi, Roman, and Sophia. Fun fact: He likes working out and carpentry! 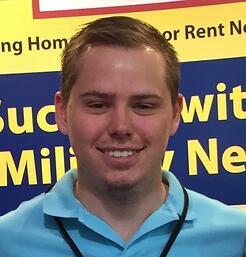 Adam has been the Marketing Manager at MilitaryByOwner for three years since graduating from VCU in Richmond, VA. 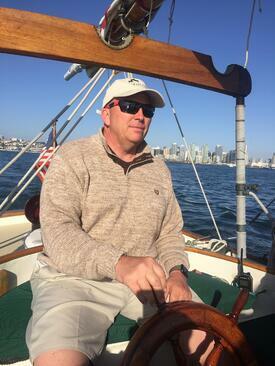 He handles the pay-per-click (PPC) advertising, email marketing campaigns, operates the company booth at expositions and conferences, and keeps the office going by replenishing the Keurig K-Cups. Fun fact: He has a skydiving license! Linda is a Customer Service Representative at MilitaryByOwner and has been with the company for three years. She assists customers who need to place ads and/or find homes. She promotes and maintains property ads by helping customers upload photos and checking page placement and page views. She also reminds customers to update the availability status of their property in order to keep the website inventory current. Linda is a Marine Corps spouse of 25 years--her Marine retired in 2014. Fun fact: She’s a Tennessee girl turned Virginia dweller who loves to quilt, read, garden, thrift, hike, and spend time with her family and dogs Molly and Lucky! Heather has been with MilitaryByOwner for a little over three years. 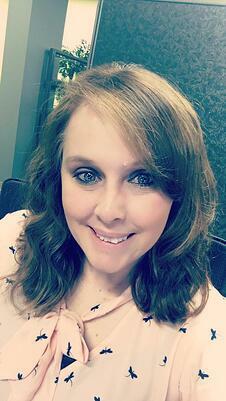 She serves as a Customer Support Representative and provides customer service, answers the phone, and helps out with tasks around the office. She also handles the social media for MacDill Happenings. Heather’s husband serves active duty in the Marine Corps. Fun fact: She did Irish dancing for several years when she was in her twenties. Now her five-year-old does Irish dancing and seems to share her passion! MilitaryByOwner’s mission is to equip relocating military families with the tools and knowledge for a stress-free move. Throughout the past 17 years, they’ve created a free Android and iPhone app and partnered with several related companies to provide the best service for their advertisers. Since they realize that technology is always changing, they are in the process of revamping the website again. The new site is map focused with key features to help find, rent, or sell a home. The projected launch date is early 2018. 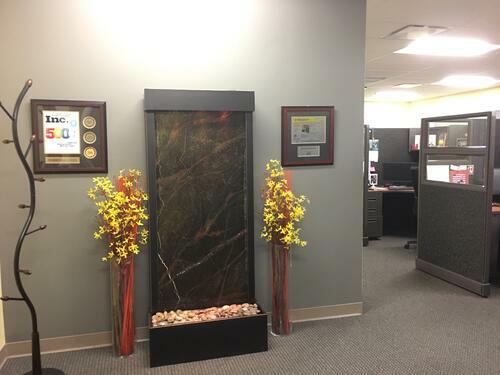 Thanks for taking the time to get to know a few of the MBO Home Office team. If you have a minute, comment below and tell us about yourself and your history with the company!